Located at the base of Virginia's Blue Ridge Mountains, Patrick County, in the southwestern part of the state. Stuart is located on US Highway 58 and State 8, about 40 miles north of Winston-Salem, NC, 75 miles south of Roanoke, 125 miles north of Charlotte, NC. Patrick County was formed in 1790 from Henry County. Both counties were named in honor of Patrick Henry, former governor of Virginia. 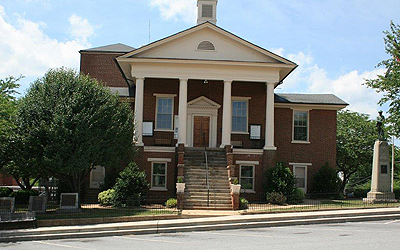 Stuart, the county seat, was established in 1792 and was originally named Taylorsville. It was later renamed Stuart in honor of General J.E.B. Stuart of the Confederate Calvary, who was a native of Patrick County. Stuart Virginia is centrally located and ideal for the development of business and industry. Manufactured products include elastic webbing, knitwear, lumber, hardwood flooring and furniture. Patrick County provides excellence in education. This is best exemplified by the fact that Patrick County students consistently rank above state scores on standardized testing programs. Patrick County High School students enjoy the unique opportunity to acquire college credits while enrolled in high school through a dual enrollment plan with Patrick Henry Community College. Patrick Henry Community College has an extended campus at the Patrick County Community Center in Stuart. There are 15 other colleges and universities within a 65-mile radius of Patrick County. Patrick County Library offers a computerized system; books; books on tape; videos; CDs; music cassettes; periodicals; bookmobile; story time for preschoolers; summer ready program for ages 3-adult; school group tours; nursing home service; inter-library loans; and reference. Service for the disabled may be arranged. RJR-Patrick County Memorial Hospital is a general hospital providing acute medical and intensive care, obstetrics, general surgery, orthopedic surgery, urological surgery, cataract surgery and pediatric surgery. RJR-Patrick County Memorial Hospital Skilled Nursing Facility provides short and long term specialized nursing care for patients requiring 24-hour medical environment. RJ Reynolds Speciality Services is a comprehensive subspecialty medical clinic including services for orthopedics; general and thoracic surgery; podiatry; ear, nose and throat; ophthalmology; dermatology; behavioral health; urology; gastroenterology; and oncology. Other facilities include various clinics, Blue Ridge Nursing Center and Home Health Care Associates, Inc.
FAA officials rank the local Blue Ridge Airport among the top five airports in the state. Piedmont Triad International at Greensboro, NC, is less an hour away. Roanoke Regional Airport and Danville Regional Airport are also less than an hour away. Patrick County is strategically positioned among a network of interstate highways and 4-lane roads. Interstates 77, 81, 40 and 85 are all easily accessible within an hour's drive. Patrick County is connected to these interstate routes via US 58, a major 4-lane east-west corridor in southern Virginia. Other utilized routes, including SR 8, US 220 and SR 103, provide access to other major highway corridors. Interstate 73, a north-south route from Michigan to South Carolina, will be located near the Patrick County border and provide interstate accessibility within 25 minutes of the heart of Stuart. Recreational opportunities are many and varied. Some of the attractions in Patrick County are the Blue Ridge Parkway, Reynolds Homestead, Lovers Leap Wayside, Rocky Knob Recreation Area, Fairy Stone State Park, Philpott Reservoir and Laurel Hill, the birthplace of J. E. B. Stuart. 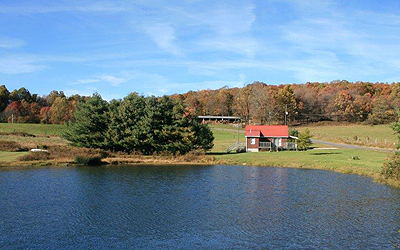 Patrick County operates a comprehensive Parks and Recreation Program with facilities located in each community of the county. The facilities include a mixture of ball fields, tennis courts, basketball courts, picnic areas, playgrounds, walking trails, and DeHart Park in Stuart maintains a public swimming pool. The Stuart Rotary Club provides the community use of its Sports and Exhibition Complex. Patrick County has two outdoor music parks used for a variety of special events. There are various other outdoor related attractions that include hunting, fishing, hiking, mountain biking, rafting, canoeing and other recreational opportunities. Among the many annual events in Patrick County are the Blue Ridge Mountain Car Show, Spring Frolic, Memorial Day Gospel Sing, Beach Music Festival, Bluegrass Music Festival, Kibler Valley Canoe Races, Virginia Peach Festival, Patrick County Agricultural Fair, Laurel Hill Civil War Re-enactment and several others.